2016 Electric City Artelec 670. Picture credits - Electric City. Submit more pictures. The Artelec 670 is perfectly adapted for the city, easy-to-use and comfortable. It will follow you everywhere you drive in the city and it is as silent as beautiful. 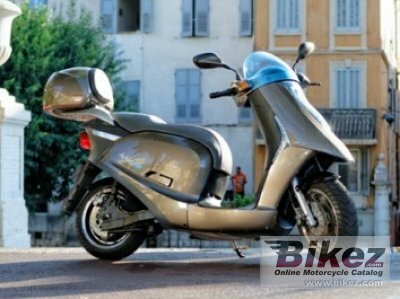 The Artelec 670 is equivalent to a 125cc scooter but offers better road performances. Price as new (MSRP): Euro 7500. Prices depend on country, taxes, accessories, etc. Comments: Lithium battery 67V 72 Ah. 4-8 hour recharge time. 1500 discharge/recharge cycles. Range 45-100 km. Sold in France. Ask questions Join the 16 Electric City Artelec 670 discussion group or the general Electric City discussion group. Bikez has reestablished Bikez.info motorcycle web shop overview. Here we present the major online shopping possibilities for motorcycle parts, gear and accessories. This includes customizing and insurance. Search and compare products and prices. Try our 2016 Electric City Artelec 670 discussion forum if you have questions or comments. Information about any technical issue is always welcome.